Although the 2015 Houzz awards have come and gone, there is more than enough time to get your home building company atop all the buzz for 2016. The Houzz awards – given out for best design and customer service – are give out in the first month of the year, using votes from the previous month’s from the Houzz community. The customer satisfaction awards are based on the quality and amount of reviews of your company on the homebuilder’s website, and design awards are given to the most popular design, voted on by the over 25 million unique monthly users of the site. 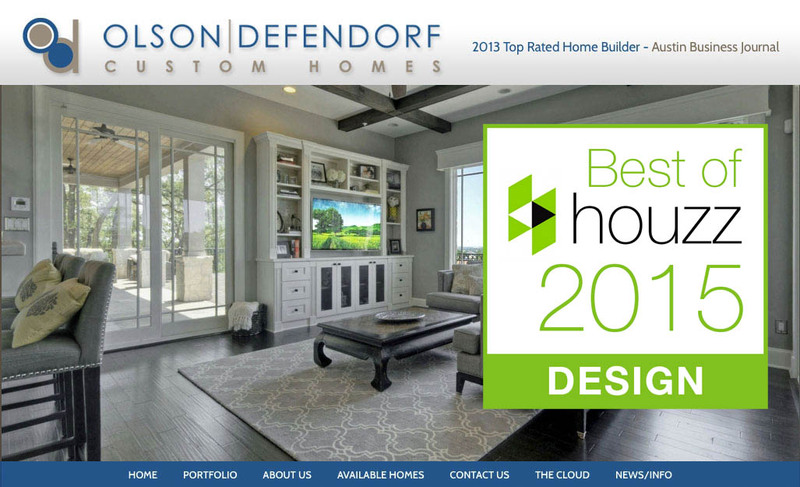 In 2015, the design award was given to Olson Defendorf Custom Homes, a Pallasart client. This, too, can be you – the simplest and easiest way to get your building company this coveted award is to encourage your customers to review you on the Houzz website. This can be done in a variety of ways, by running a contest for all those that review you, to including links to the site in all of your correspondence. Each of the Houzz award winners receives a “Best of Houzz” badge for their Houzz profile, complete with the year they won in. These badges are also provided in a variety of sizes to be included on websites, business cards and stationery – ensuring that all potential clients know of the company’s achievement. Does winning a Houzz award matter? How important is it? Some people might claim that the general public doesn't use (or even know about) the Houzz website or its awards. It's true the site is mostly used by other industry professionals in home building and interior design. This is changing fast. Hundreds of thousands of consumers are finding the Houzz site and using it to find services and suppliers. This number is growing fast. The profile of these potential customers may exactly fit your target consumer. If you aren't on Houzz yet and are in the business it will be mission critical for you to be there with a strong presentation of your brand and the services you provide. There is plenty of time to position your service or business on Houzz and apply for the next go-around for the 2016 awards. Pallasart can assist your building company in taking your website to the next level - so its beauty and sophistication reflects the homes that you build, remodel or decorate. Contact us today for more information on what we can do for you, call us at 512 469-7454 or fill out a quote request at the bottom of this page.